Equine influenza is a highly infectious respiratory virus, which although rarely fatal can cause high fever, nasal discharge and coughing. We encourage all our clients to vaccinate against equine influenza. Thereafter annually (within 365 days of third vaccine). 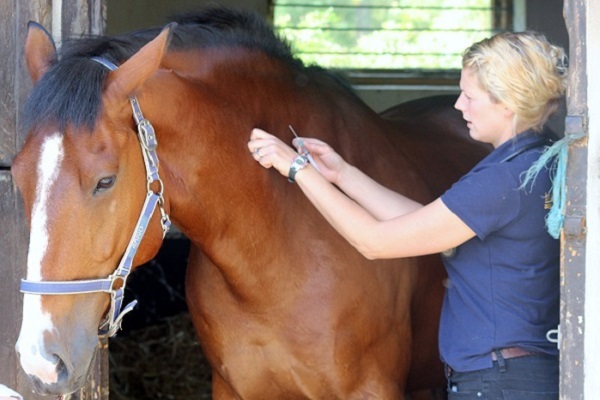 Equine influenza vaccination is a requirement of many competitive organisations e.g. British Showjumping, British Eventing, Showing, Jockey Club. Also it is a requirement at local levels e.g. area Pony Club and Riding Club competitions. Many livery yards and riding establishments require it as well. 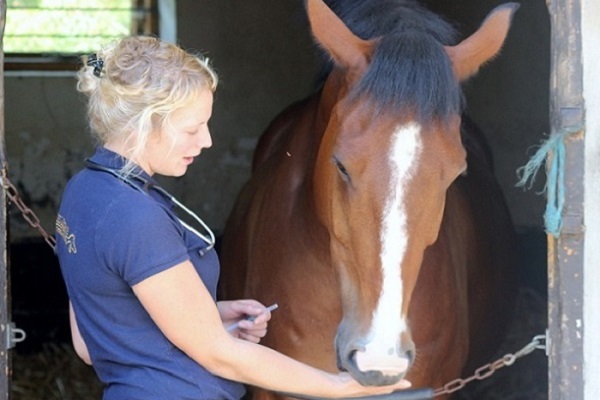 The FEI Veterinary Regulations require that all horses are vaccinated against equine influenza within SIX months of competing at an FEI event, having had the necessary primary course of vaccinations. This primarily involves international competitions, but may affect some British Eventing and British Showjumping competitions. Please check with your competition governing body. Tetanus is a life threatening bacterial infection that can enter your horse’s blood stream via any wound. It is caused by bacteria found in soil. Due to the high number of horses vaccinated against Tetanus we rarely see it these days, however any unvaccinated horse is at risk. Vaccination can be done separately or combined with the influenza vaccination. After a primary course boosters are only required every other year. Equine herpes is an airborne virus which can cause a variety of disorders in the horse; upper respiratory tract infection, abortion in pregnant mares and rarely neurological disease. Equine Herpes Virus (type 1 and 4) vaccine provides protection against these viruses. It is unclear how much protection vaccine provides against paralysis, but it is assumed there is some. EHV1, 4 vaccine requires 6 monthly boosters. Pregnant mares requiring vaccination against equine herpes should be vaccinated at 5, 7 and 9 months of pregnancy. Please give us a call and we can discuss your mare individually.